Happy Sunday everyone! If you live in the Midwest I hope you stayed dry and warm! What's up with this weather? It's sunny and 75 one day and then rainy and 50 the next. Mother Nature needs to make up her mind because my closet is a disaster! 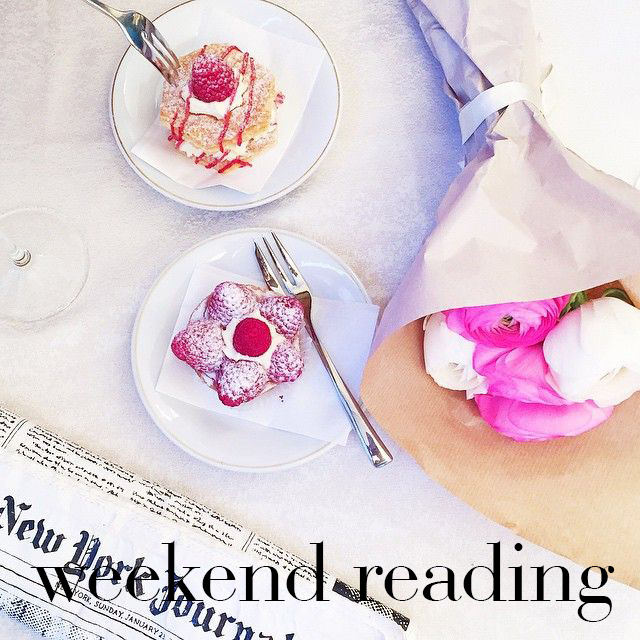 This week's weekend reading is suuuper long but has loooots of great links! So enough of me and let's get to them! Obsessed with this white on white look on Brighton! This is great. So funny. I laughed so hard! Need an easy decor DIY? This is perfect! Plus, it'd make for a great Mother's Day or Graduation Gift! Need to get your body ready for festivals, the pool and beach? Check out the Mermaid Diet! Katey shares tooons of info on it! Scalloped shorts, striped tee, utility jacket, leopard heels and a panama hat? Sign me up! 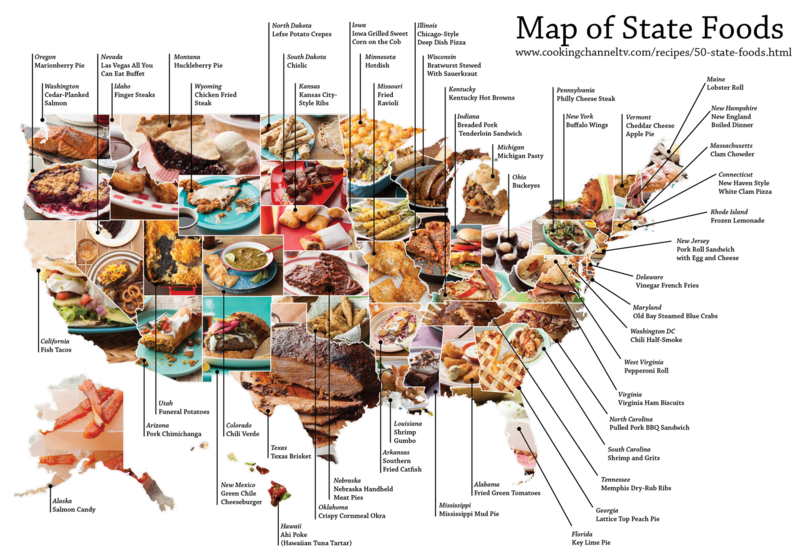 Map of state foods. KC reppin' ribs! Yeah! Blake Lively is perfect. #WomanCrushAllDayEveryDay I couldn't stop laughing! Beautifully written article by Lauren on 5 things her Nana taught her. The Evans brothers CRUSHED it! Hot diggity damn. Think you know everything about Disney? Well here are 43 Disney secrets! I learned a lot! Black, cognac and leopard are staples. I love how Brighton styled 3 different looks around these colors! Apparently I have a thing for white! Love this white dress look! Cookies and creme baked donuts? Yes, freaking please!! Missed out on #LillyForTarget? No worries! Lauren shares Lilly Inspired pieces that you can still get your hands on! Who wants to take a trip with me to St. John UVSI? Kate Bosworth is a babe. And this hairstyle is stunning. Love this post on finding your inner unicorn! Another DIY perfect for summer! The infamous tassel bracelets! I'm definitely going to try them out! 13 things that make me happy! There they are! Told you there was a bunch! But they're all worth the click, I promise! What have you guys been loving on the Internet this week? Leave a comment with the link and I'll be sure to check it out!